The AFE Stage 2 Cold Air Intake is the easiest performance modification you can install on the Audi B7 A4 if you want to see significant power gains and performance. 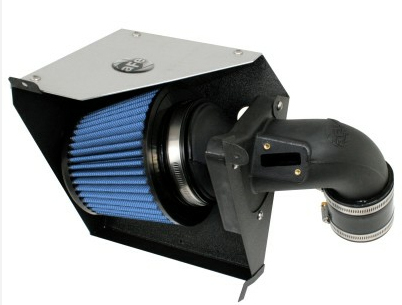 The AFE Stage 2 Cold Air Intake for Audi B7 A4 adds significant power to your car with an easy to install upgrade. 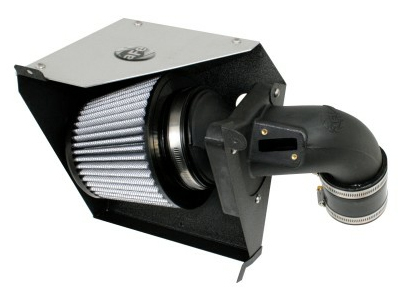 Whether you are buying your first performance modification, or if you already have a few performance modifications installed in the Audi B7 A4, you need to upgrade the air intake system with the AFE Stage 2 Cold Air Intake. With a larger cone air filter and a intake tract with reduced restrictions and bends, the AFE Stage 2 Intake for B7 A4 out flows the factory intake system by 38%, giving the Audi A4 maximum power gains of 10hp and 14lb/ft torque to the wheels. 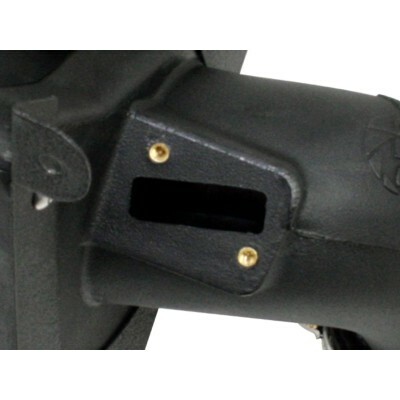 The AFE Stage 2 Cold Air Intake includes a 16-gauge heat shield to help keep hot air from entering the engine. 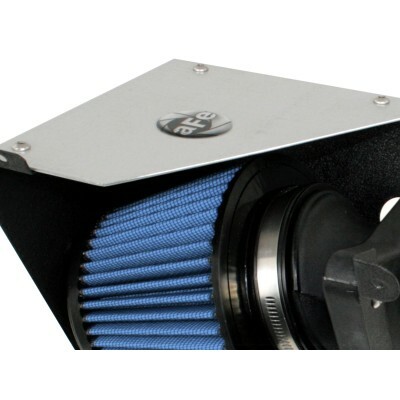 The AFE air filter included with the AFE Cold Air Intake is washable and reusable, so you never have to buy a replacement air filter again. All of these benefits are neatly packaged in the AFE Stage 2 Cold Air Intake, and comes with all necessary installation hardware and instructions.